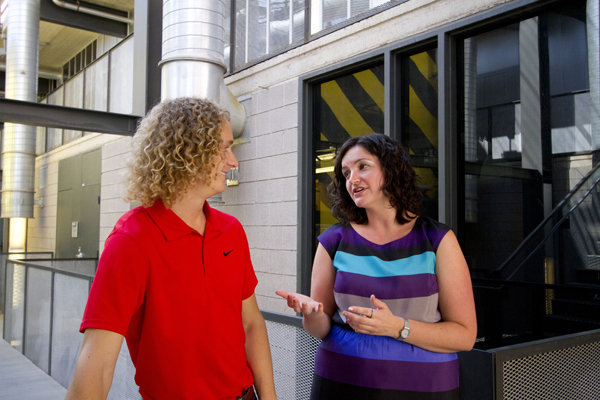 Kristen Parrish joined the School of Sustainable Engineering and the Built Environment as assistant professor this year. Her research focuses on integrated project delivery—integrating different phases of the life cycle of a building including design, construction, operations and end of life and simultaneously integrating the people that work on buildings. “We are excited to have Kristen here at ASU. She brings a number of skillsets with her that will help our construction programs continue to stay on the cutting edge of methods and research. She is also passionate about teaching and working with our students,” says Edd Gibson, director of the School of Sustainable Engineering and the Built Environment. Parrish started out in structural engineering. She holds bachelor’s and master’s degrees in civil and environmental engineering with a focus on structural engineering from the University of Michigan, and a Ph.D. in civil engineering systems from the University of California, Berkeley. As a graduate student, she worked on integrating the design and building of concrete structures to enable efficient construction, from a time and budget perspective. As a doctoral student, Parrish became interested in the interactive elements of building design and construction and how teams worked together to achieve project goals. Her postdoc work at Lawrence Berkeley National Lab focused more on the integration of designers and operators, looking at how to design buildings that use less energy once they are built and in use. Parrish is working to see if the same principles used to facilitate design for constructability can be applied to “design for operations,” or making operations more energy-efficient. She notes that it is a very interdisciplinary, collaborative effort—bringing together architectural, civil, mechanical, electrical and structural engineers on the technical side as well as business and psychology colleagues on teaming strategies. She notes that collaboration is one of the reasons she came to ASU. 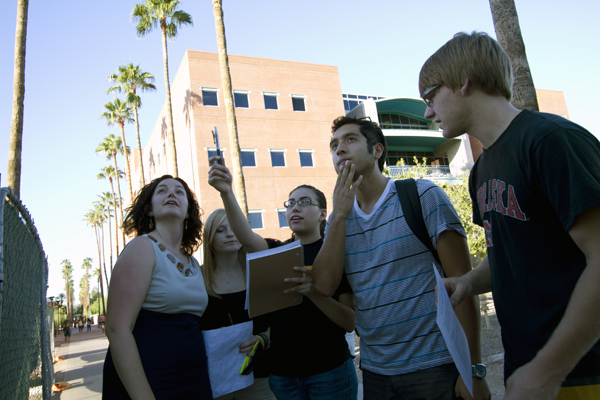 “ASU is a clear choice for sustainability research. The number of people working in all of these different subdisciplines and interested in collaborating is really unparalleled,” Parrish says. “The other reason I chose ASU is that I love teaching. ASU really values that in their faculty,” she says. Parrish is interested in getting students involved in her research. For master’s-level students, she sees an opportunity for case study projects, collecting data on who is working on what, how responsibilities are divided and how that impacts the final construction decisions and building operations. For undergraduates, projects would include looking at different parts of a building system, to understand how things actually perform. The goal is to gain an understanding of how much energy consumption in a given building is attributable to the different building systems and come up with a strategy for managing those systems. Parrish’s first collaborative project at ASU is working with the Energize Phoenix team, looking at strategies to more broadly deploy project findings by identifying successes of Energize Phoenix that could work for other cities. “Phoenix is a good model city – its building density and metropolitan landscape are similar to many other American cities. It is also interesting because we have a challenging climate—we spend a lot of energy and money cooling buildings. It is a reminder of why I do the work that I do,” Parrish says.